I have been practicing law since 1971. Throughout my practice, I have focused on working with my clients directly, on considering the individual merits of each and every case, on exercising good judgment, and on giving honest, straightforward legal advice. From my office in Booneville, Mississippi, I represent clients throughout North East Mississippi in a variety of legal areas including family law, personal injury and workers' comp claims, insurance disputes, and Social Security benefits. I am happy to offer a free consultation in all cases. To arrange a free consultation with an experienced lawyer, call my firm today at (662) 728-1228. Or, contact me by e-mail and I will be in touch with you promptly. I am a fellow of the Mississippi Bar Foundation and am AV Peer Review Rated through Martindale-Hubbell. * I have also served as the municipal attorney and city prosecuting attorney for the City of Booneville, Mississippi, attorney for the Booneville Mississippi School District and as municipal judge for the City of Baldwyn, Mississippi. Clients work directly with me throughout the duration of their cases. Contact me to arrange your free consultation. My office hours are Monday through Friday, 8:30 a.m. - 5:00 p.m., with evening, weekend and off-site appointments available. 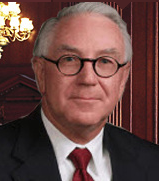 William W. Smith, Attorney at Law serves clients throughout North East Mississippi, including Booneville, Corinth, Iuka, Tupelo, Ripley, Amory, New Albany, Pontotoc, Aberdeen and Fulton. The dissolution of a marriage involves crucial decisions about the welfare of your children and the equitable division of your assets. Attorney William W. Smith considers all aspects of your divorce to reach the best possible solutions regarding: -Child custody and visitation rights -Child support -Distribution of personal property, bank accounts, stocks and other assets -Division of marital debts -Sale or possession of the marital home -Spousal support and temporary support Effective divorce law mediator Mediation gives you and your spouse the opportunity to negotiate a divorce settlement in a structured setting through a trained facilitator. The mediation process fosters cooperation between partners and removes the unpredictability and uncertainty associated with litigation. Mediation often reduces the time and costs of divorce, and puts the decisions in your hands. I can help you obtain an equitable divorce settlement, fair child support agreement and healthy child custody arrangement. Skilled divorce litigator Sometimes litigation is necessary to reach a just and equitable resolution to your family's disputes. I successfully represent clients throughout the adversarial litigation process by using proven trial strategies and maintaining a professional courtroom presence. I am prepared to methodically handle the complex aspects of your divorce and obtain the most favorable trial outcome. -Mississippi College School of Law, J.D. Municipal Attorney, Town of Tishomingo, 1984 - 1993. Municipal Judge, City of Baldwyn, 1988 - 2013. City Prosecuting Attorney, 1985 - 2007, Municipal Attorney, 2005 - 2007, City of Booneville. Attorney for Booneville School District, 1980 - 2007. Associate, Cunningham & Cunningham, Booneville, Mississippi, 1973 - 1974. Partner: Cunningham & Smith, Booneville, 1974 - 1976; Cunningham, Smith & Ferrell, Booneville, 1976 - 1990. Sole Practitioner, January, 1990-. Fellow: Mississippi Bar Foundation.